A more elegant binding for a more civilized age. The ST Rotation is the new DIN certification-ready kid on the block, and it’s now (as of 17/18 season) the best choice for backcountry skiers who want to optimize for knee-protection. It’s a full-featured binding with brakes, multiple risers, and generous adjustability. Dynafit’s latest and greatest also has refinements for smooth operation and easier servicing. The toe piece sits on a rotation plate introduced with the ST 2.0, which means a consistent heel-release irrespective of the make of your boots or condition of your toe-fittings. However, the Rotation 10 adds a notched centering device which makes stepping into the toe much, much easier. No longer do you need to lock the toe or look down at your heel to check alignment. A quick flip of the beefy toe lever will switch between uphill and downhill modes. 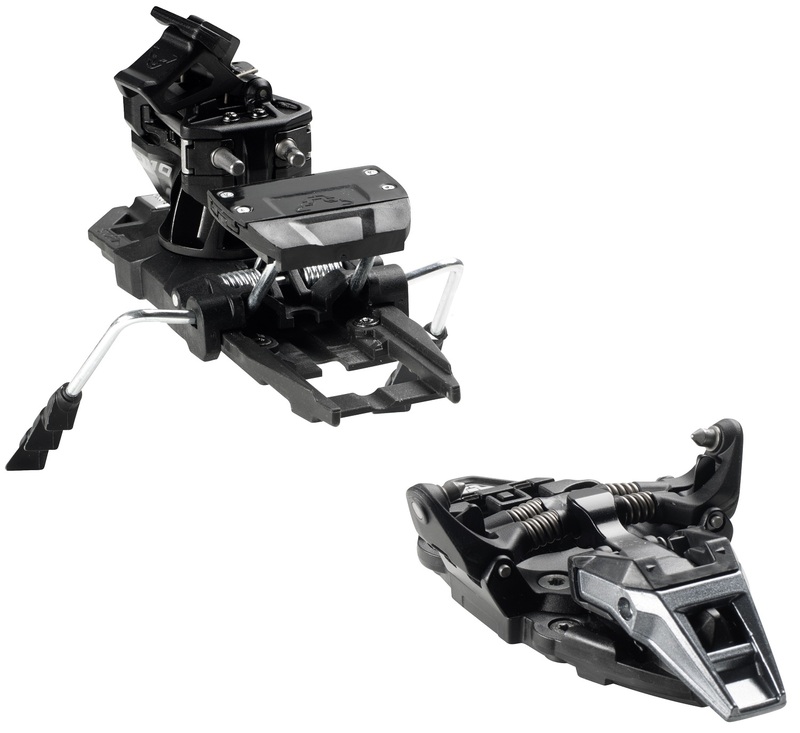 The heel unit is built around Dynafit’s new Bayonet Lock, which intelligently connects the baseplate and heel housing of the binding into one robust unit. This results in a stiffer and more secure binding platform, while also improving serviceability. The unit features whopping 10mm of longitudinal elasticity which will soak up bumpy terrain and big landings without hesitation. It also makes the release more consistent throughout the flex of the ski. Paired with the rotating toe piece, this creates a tech binding capable of achieving certification at a low-ish weight. Perfect for the skier who enjoys ripping side-country laps and center-punching remote bowls. Bayonet Lock creates a secure binding platform that is easily disassembled if needed. Rotating toe piece and spring-loaded heel piece will help achieve the elusive TÜV certification. Centering device in the toe makes for much easier step-in versus the ST/FT 2.0 series. A generous +/- 22.5mm of boot sole adjustment so your jealous friends can also take a lap. Aluminum heel internals for corrosion resistance and longevity without a weight penalty. Adjustable forward and lateral release values, from 4-10. Notes Centering mechanism eases entry. I have a pair of Black Diamond Element 175 skis with a waist width of 115. 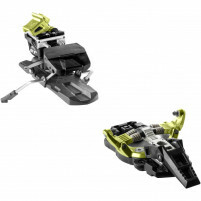 I would like to purchase your Dynafit ST Rotation 10 Bindings. Do I order the 120 brake width or the 135? Hi Henry, the 120s will fit great! My question is similar to one above but I just want to confirm before ordering... my skis are 92 underfoot, would the 90mm brakes work or should I go with the 105s? Thanks! Hi Lauren, the 90s will suffice! What are the mounting specs such as the drill bit sizing for the screws? It will be a T20 hex wrench for the mounting screws. Drill bit choice is determined by the ski and not the binding. At the Bottom line column in the comparison chart, Dynafit ST Rotation 10 bindings are "Knee-friendly backcountry skiing". What does Knee-friendly" means? 1) The bindings are certified to DIN standards for release. 2) Due to the lateral-heel release, they tend to be better for the knees than alpine bindings (which are not designed to protect your knees as we explained in this article). 3) Because the ST Rotation toe is on a rotating plate, the condition of boot fittings has been essentially removed as a release-variable as compared to standard tech toes. 4) With the "gapless" heel on a spring, the release values stay relatively consistent as the ski is flexed. Added together, these are the most knee-friendly alpine touring binding. Go with the 105mm brake. Put the boot in the binding, and then give the brakes a little stretch so they don't touch the sidewalls. Hi Anthony, get the 105s, they work up to about 110mm-wide skis. Do you know if the drilling is the exam same as the Dynafit Radical ST 2.0's? Can I easily buy these to swap without re-drilling my ski's? Hi John, yes the Rotation has the exact same hole pattern as the Radical ST and FT 2.0, so a swap will be a straightforward upgrade. I want to put the 105s on 100mm skis but I'd like to swap them onto a 115mm skis once in a while. Can the brakes stay locked up on oversized skis? Hi echo, I can't think of a good reason why the brakes couldn't be used in that way. They obviously won't deploy to stop your skis on the bigger ski, but they could be taken along for the ride! Do the pin height figures for this one correlate to radical ST, vertical ST, or its figures are unique? Hey Stack, thanks again for reaching out! Delta will be identical to the Radical 2.0 binding at 13mm.